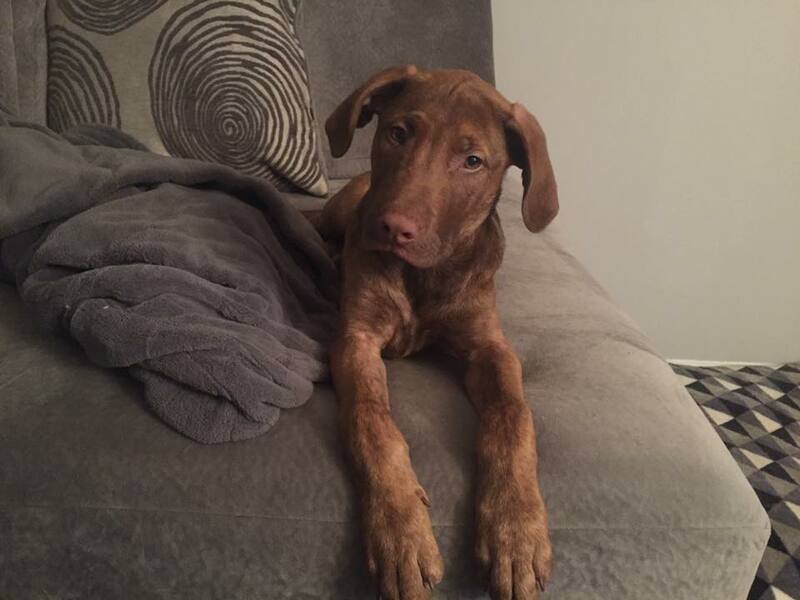 Astro, Hubble and Lyra are all 3 month old Plott Hound/Mountain Cur mix puppies looking for a home. (Don’t worry, these litter-mates are each looking for their own separate homes!) Hubble, pictured below, should steal your heart with his adorable antics. Astro and Lyra are pretty cute too! Check them all out on the City Dogs Rescue & City Kitties website under “Cosmos Puppies”. Darling Winona had a tough start in life. She was left at a shelter with a number of other cats who were all very sick. 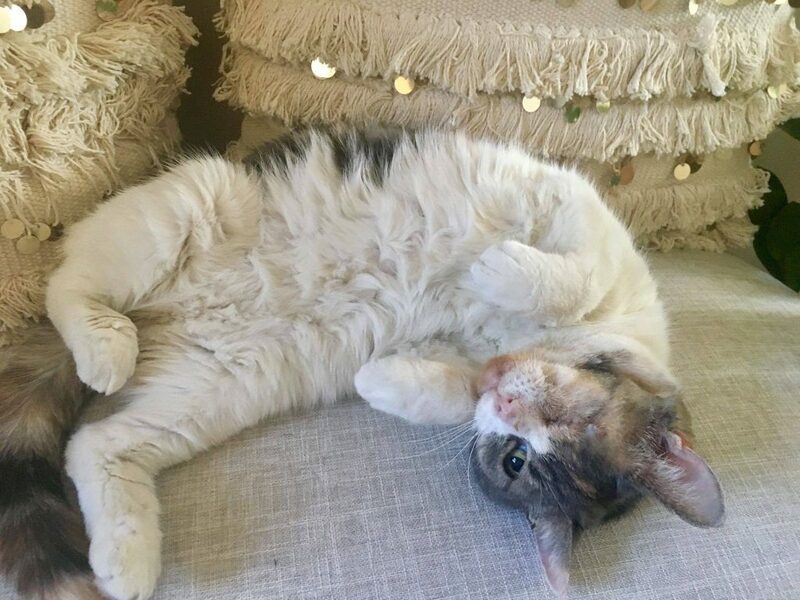 Winona was the worst off and had to have her eye removed due to the trauma it received when she was ill. She is an adorable pirate cat that you should definitely apply to meet to see how sweet she is in person! You can tell Winona is truly grateful to have been rescued because she’s such an affectionate, sweet kitty. She loves to be petted and she enjoys snuggling with her blankets — while she doesn’t scratch furniture, she enjoys kneading whatever fabric she’s standing on. More info on Winona here.